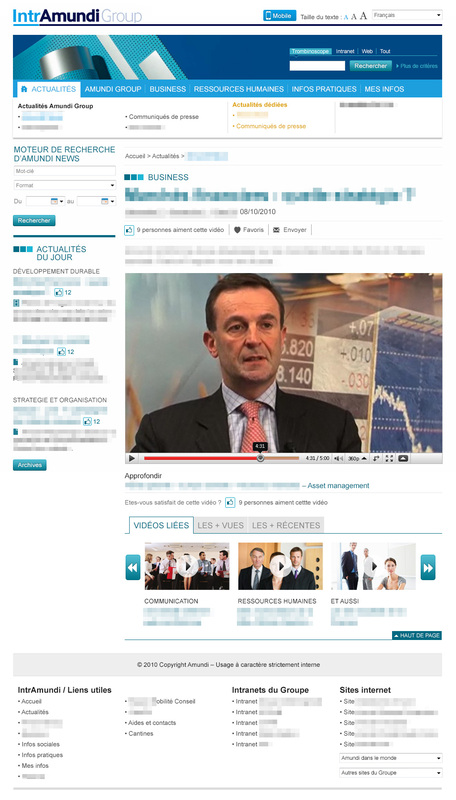 Amundi Group’s Intranet runs 8 itemized templates and some generic pages. Each page features some widgets such as tabs, switchers, accordeons, galleries, audio & video players, a private “Like” system, etc. 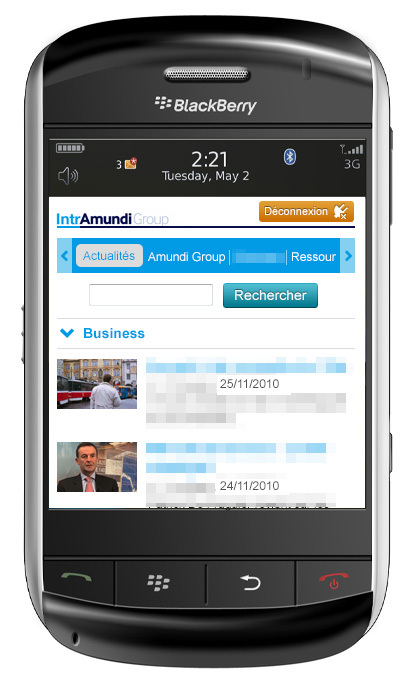 Each layout is responsive, optimized for a BlackBerry range of devices.